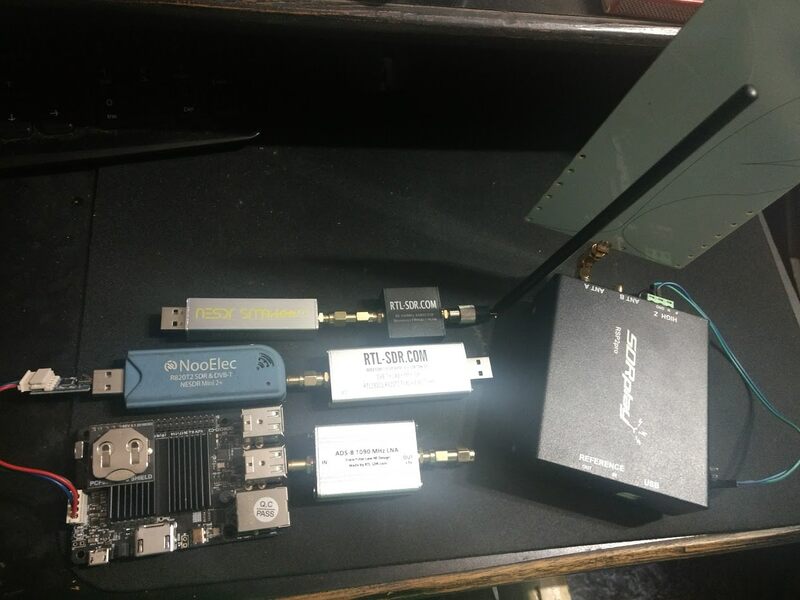 I've got an Odroid XU4 that I picked up to perform some lightweight tasks, but it dawned on me that it might make a good host for multiple SDR dongles since it's going to be relatively isolated from many of the other electronics around, and since it's got a tiny form factor & comparatively low power consumption, why not utilize it? The question I've got is how many dongles can I reasonably expect it to handle concurrently, and what software would be optimal for utilizing them remotely? Am I more likely to run into lack of processing power, or limitations of the USB ports when working with hubs? The Raspberry Pi 3 can handle about 3, and up to 4 if a powered hub is used. The first limitation is current, you need a powered USB hub to run more than 3. Each dongle uses about 250 - 300 mA. For processing power and software it really depends what software you're interested in running. Lightweight decoders like for ADSB, pager decoders etc don't use much processing. But if you're wanting to stream the data over network for remote use you might run into processing power limitations at 3-4 dongles. The XU4 is a fairly beefy SBC, 4 2.0GHz cores and 4 1.4Ghz cores, 2 GB of RAM, and a couple USB 3.0 ports (with one 2.0, but I'll likely use that to run a small HDD for use as a seedbox since this will always be online). It's a fair bit beefier than a RasPi 3. One of the ideas was to use a couple dongles for trunk monitoring, plus another keeping tabs on the local WX station to use as an EAS alerter, but I figured if I was going to be throwing several on I may as well add a few more to monitor anything else of interest I find, or simply to open it up to tuning around by friends. I don't think you'll run into any processing issues for those applications assuming your not streaming the IQ data with something like SpyServer. Even then the XU4 can probably handle 2 SpyServers running, and i'm sure that it can handle several rtl_tcp servers (network bandwidth limiting). I wished to do something similar, and went back and forth between the XU4 and the C2. I loved the extra oomph of the XU4, but it could need >2 Amps starting up with 4 or more dongles. I went with the C2 and it has zero issues managing 4 SDRs, even streaming to CubicSDR via Ethernet while the other three dongles are busy, no worries. Your XU4 will have zero issues driving 4 dongles, assuming you're using an eMMC with an externally powered USB hub. 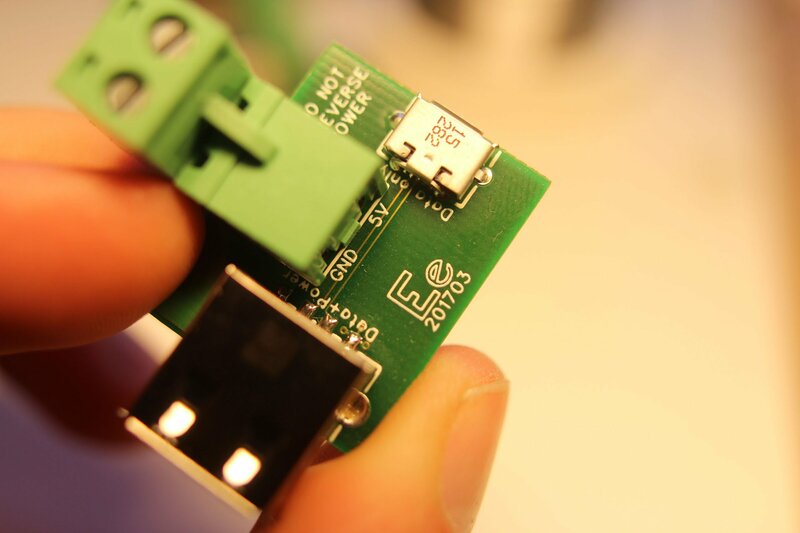 Fancy using a linear power supply for your dongles? With one of these available on Tindie, you can power the USB hub/dongles separately.